President Rouhani says Tehran preparing lawsuit against US individuals involved with economic sanctions imposed on the Islamic Republic. Tehran is preparing a lawsuit in Iran against US individuals involved with economic sanctions imposed by Washington on the Islamic Republic, President Hassan Rouhani said Monday, according to AFP. The case would be lodged in a “competent court inside Iran,” he said, as quoted by state television. 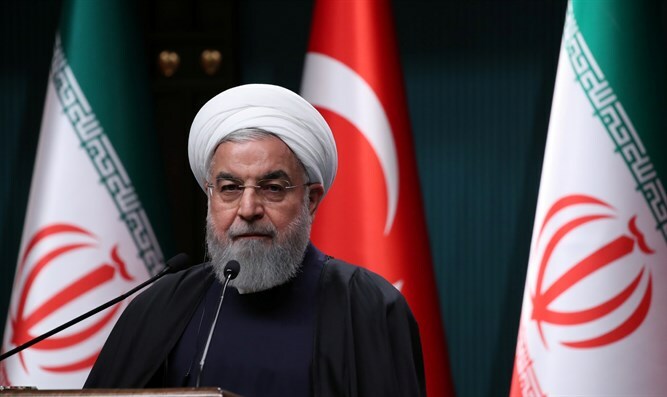 Speaking on Monday after the last cabinet meeting of Iran’s calendar year which ends on March 20, Rouhani condemned the sanctions as a “crime against humanity” that was hitting ordinary Iranians. “The world should know that what America has done was not against the Iranian state, it was not against Iran’s nuclear program, it was against the wellbeing of the Iranian people,” he said, according to AFP. The Iranian President has gradually changed his tone regarding the sanctions. He initially insisted that the new US sanctions have had no effect on Iran’s economy because Washington had already practically reimposed them earlier. Last December, however, Rouhani said US sanctions against his country amounted to "economic terrorism". In February, he described the US sanctions imposed on Iran as an economic war being waged on his country. Later that week, Rouhani stated that the US sanctions amounted to "a terrorist act".